The Warning by is a very unique book. It is a very intellectual and thought provoking story. Where most books seen to entertain, The Warning has a higher purpose. Through science fiction it is the author that is giving the reader a warning. This warning is environmental in nature and the meaning is simple. Respect our planet or soon we will not have one. The novel centers around a young scientist named Jon. While working with his associate, they discover that global warming as already advanced to a stage where it is too late to turn back and humanity, as well as most live forms, is already doomed. As the story progresses, the President is forced to take Jon and his team seriously. He creates a huge panel of experts and together they try to brainstorm various ways where they can attempt to avoid complete human extinction. Several projects are proposed, because when the human race itself is in danger, all the best minds in the world become involved. The experts break into several teams, but it is Jon, his former lover, and some of his closest allies that get picked for mission to explore Mars. Something goes wrong and Jon is forced to remain behind on Mars while his friends return to the man ship. As his oxygen runs out, he meets a benevolent alien, who he calls Buddy and Buddy has the most interesting of proposals for him. The book is split into two time lines. One reviews the struggles to keep mankind alive, while the other becomes a discussion between Jon and Buddy in which both the plusses and minuses of the human race are investigated. The Warning is interesting in that the reader can get through the whole book without reading any fast paced Hollywood style action and not even a hint of violence. Its positive message of environmental awareness makes this a book that could be appropriate for younger readers as well as anyone interested in protecting this planet. 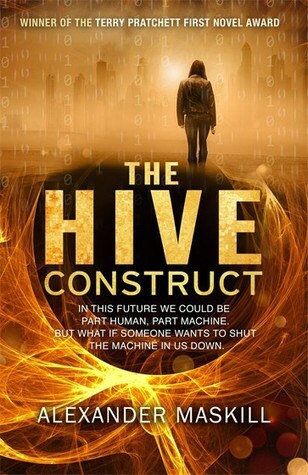 Also lovers of apocalyptic fiction might enjoy this different sort of review of the subject of humanity?s destruction. Possible downsides of the novel might include the lack of traditional action and battles. This might put some of some modern readers that are conditioned to expect such things. Although for some people such a style might be considered progressive or inspirational. The book is also rather dark. It is hard to destroy all of civilization without feeling a little bleak. Overall the book is well researched and thought through. The adventure into space is realistic and science buffs should be pleased with this aspect of the book. It is a nice change to read a book with a mission behind it and this places The Warning into an often unlooked region of the Science Fiction genre and Mickey Dobson deserves respect for tackling such a complex issue.